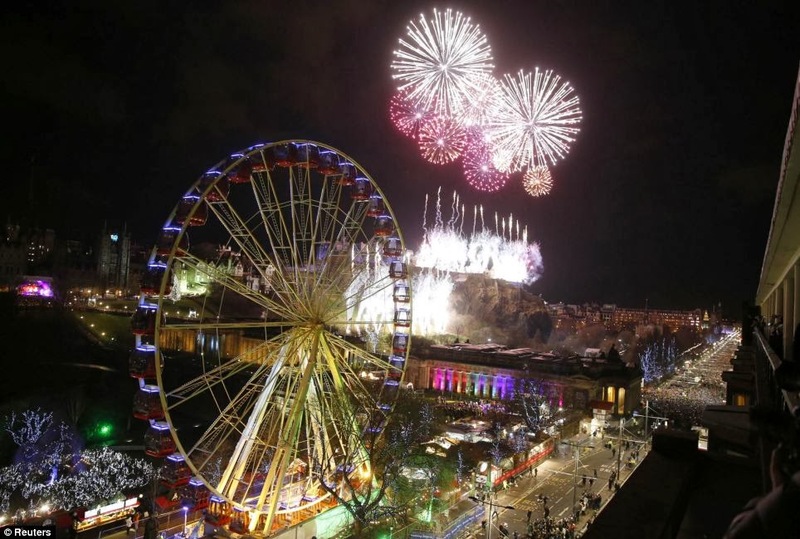 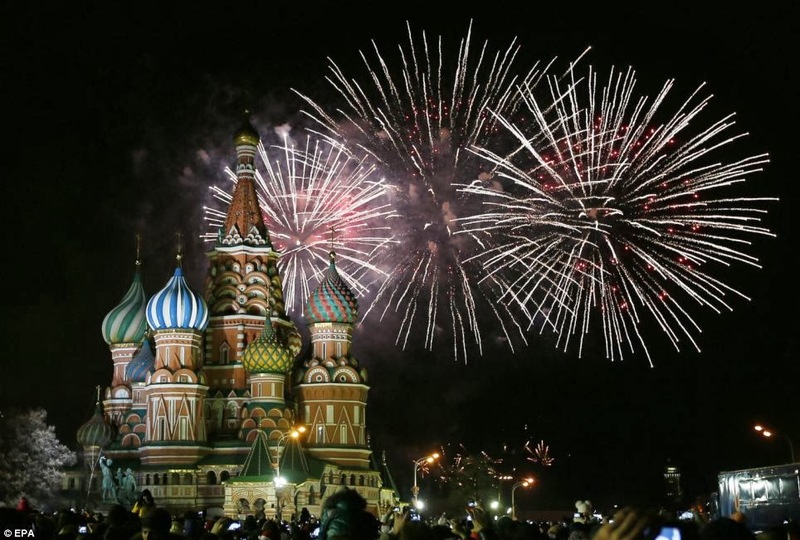 At midnight 31 December - 1 January 2014, the skies lit up with spectacular fire works all around the world. 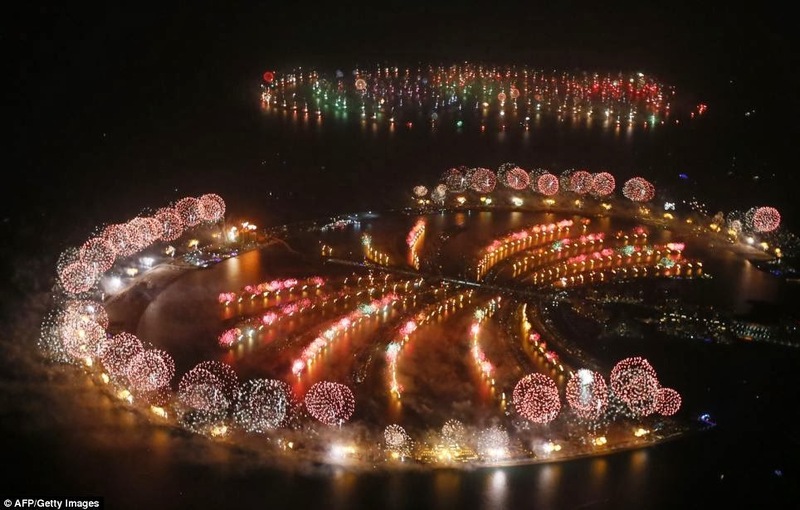 Dubai is planning the world's biggest ever fireworks show with Guinness World Record judges on hand. 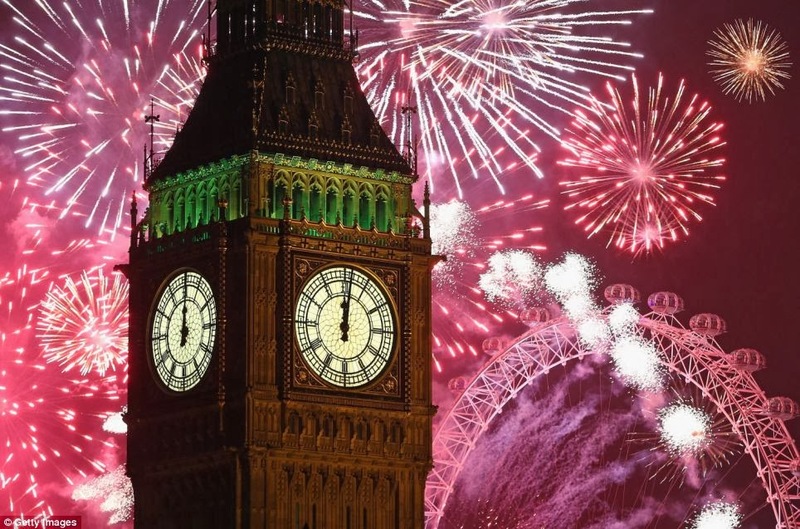 In London, Edible banana confetti and strawberry mist rained from the sky as a fireworks display along the River Thames lights up Big Ben and other landmarks.